Moisture in compressed air can cause severe damage. Malfunctions in a production plant, costly down time, higher reject rates and increased quality control expenditures all have a negative impact on profits. For this reason, efficient and individually adapted compressed air treatment is absolutely essential. 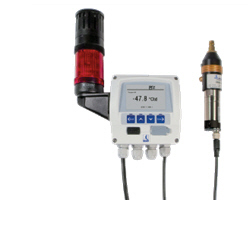 However, to guarantee process reliability, the compressed air humidity also needs to be monitored. Dew point meters by Beko are a perfect solution because of their precision and superior maintenance free service life. Online integration with selectable parameters for evaluation and alarm functions in existing process control systems is also possible.